What is "consent" and how does it work? 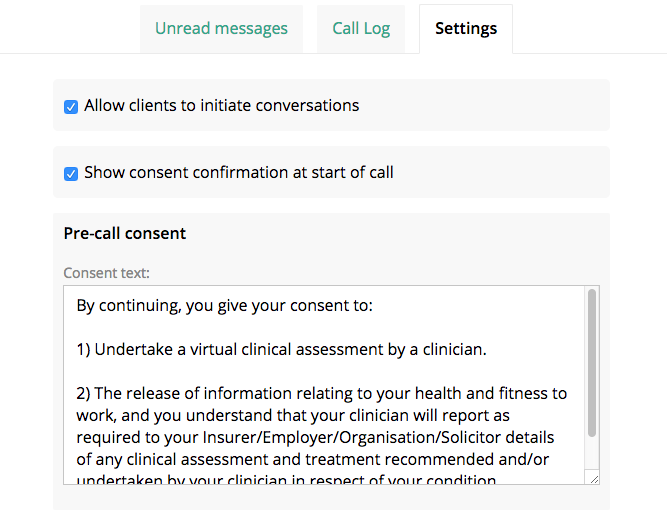 You may or may not have noticed that Physitrack comes with a pre-loaded facility to track consent for your Telehealth calls. This consent is displayed in your clients window immediately after answering a call from you, their clinician. You can edit the text that is displayed via your Connect > Settings menu (read how here). This area also allows you to switch this function off. 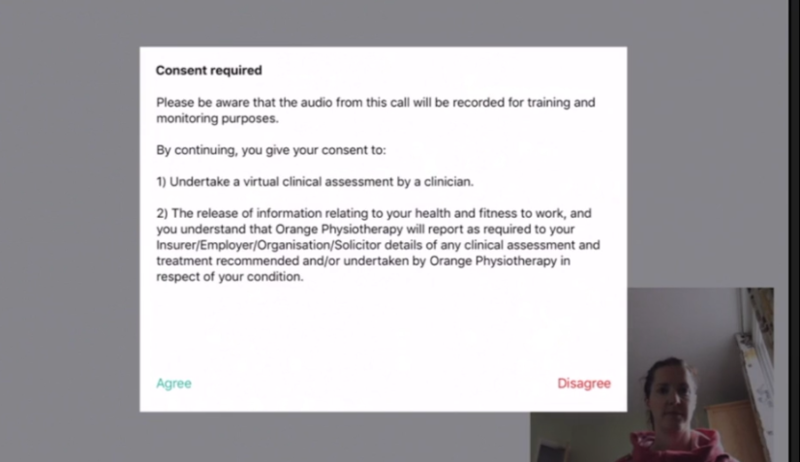 Note: If a client selects " Disagree" to the consent window, you and your client will still be taken to the call. This is because some clinicians like to take consent verbally, clarify the reason for the decline in consent, but also allow for patients selecting "Disagree" in error.